So This is Coming is Out!! | Stay and sit a spell. There are stories here. So This is Coming is Out!! 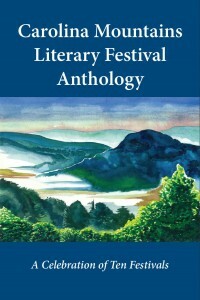 Wow, I could not be more jazzed about being in the Carolina Mountain Literary Festival’s 10 Year Anniversary Anthology. There are some seriously impressive names on this contributor’s list and I’m honored to be among them. The Carolina Mountain Literary Festival is just around the corner this Sept 11-13 in Burnsville, NC–a seriously awesome little town. The line-up is amazing and I’m counting the days! Each festival year is represented at least once.